So you’re thinking about making your own DIY Photo Booth? It’s a great idea, not only can you create a bespoke area for your guests to have their photographs taken but you can create an area of interest with your guests and keep the spark of your evening reception going into the early hours of the morning! Going the DIY way around your photobooth can be a great way to cut costs on your wedding day, but be aware that it may also increase your stress levels and you may not get the professional quality you’re seeking. If you are totally ok with this and you’re wanting to express your self creatively, then this could be perfect for you! Do you want to print the photos on the night? Your guests can stick the prints into a scrapbook for you and write a note alongside them? Or You can keep it all digital and simply sort the images out after your wedding yourself? Do you want to supply the camera/Tablet? You can provide your own equipment for guests to photograph themselves or let them use their own phones? Once you have decided this will help you not only budget for what you need, but it will also help you ignore some of the below tips and steps. The best thing about this is it can be as creative as you! If you like things nice and simple, you can just have a plain white wall at your venue and use that. Or you can create your own fake wall with some sheets of plywood from a DIY shop and let your inner creativity go wild! Try some cool geometric patterns or go wild and throw paint all over it! You can also make it 3D if you have the space and the time. 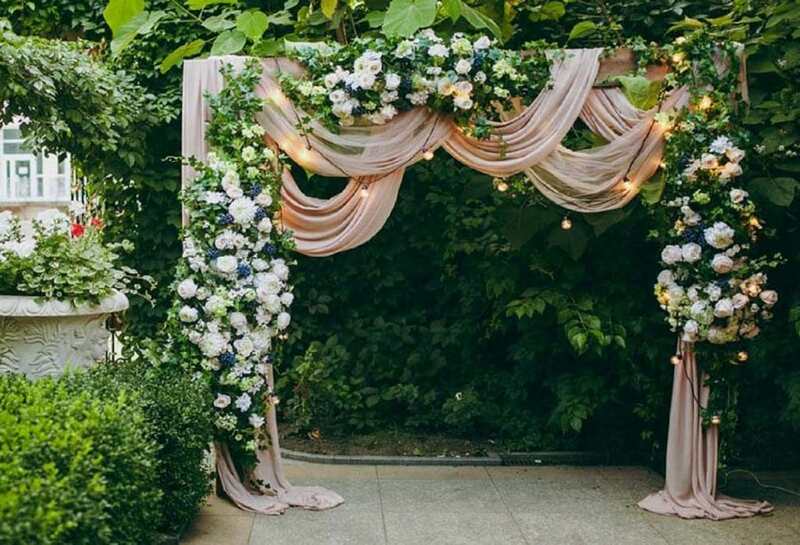 Incorporate your wedding flowers into a floral masterpiece full of greenery. You can also find photography backdrops and stands if you wish for relatively cheap if you want a hassle-free setup! A stand can typically be £30 with backdrops rating from £10-£120. Whatever you choose, make your backdrop 8 feet x 4 feet or larger, and it will match the dimensions of most camera formats automatically (which are 3 x 2 horizontally). It also will mean you can fit tall people like me in! I can’t tell you just how many photos I’m in where my head is outside the background! Firstly, you can Buy a Digital SLR. It will create the best images, and the best quality, however, these can be rather expensive and blow your budget. That said if you have one already, then it’s a great way to use what you have for optimum results. Just pre-focus the lens, slap it in full auto and make it have a 10-second timer. Your guests only need to press a button and pose.. simple! Make sure you have a good tripod, you don’t want to have a smashed camera! Secondly, you can use a tablet, again you may already have one you wish to use, or buy a cheapish one especially for the DIY Photo Booth. You can easily find apps to do this within your App Store. Just make sure it’s in a secure holder, again on a tripod! Thirdly, you can always just get your guests to take the photos on their phones? If you’re keeping it digital only, you may wish to set up a hashtag so you can find the images later as your guests upload them onto Facebook and Instagram. You can even use a service like If This Then That. To automatically save any hashtag specific images to a Dropbox account if you want to get really fancy! Get as much light as possible! The easiest way to get crisp, clean photos is to have as much light as possible. Either from natural light or from artificial lighting like us photographers have. It may feel unnatural, but the lighter in general when doing it yourself will make for better photos! It might be a good idea to section the Photo Booth off or have it in its own room for this reason, after all, you don’t want it to wreck the vibe of the rest of your reception! One important thing to look for when you’re looking at lighting is to make sure they say “Daylight” or have a colour temperature of between 5000K and 6500K for a super bright light that mimics daylight. Otherwise, you may end up with either slightly yellow or blue photos! One of the easiest ways is to get a ring light and to take photos through the middle of it. This gives a really nice even light and reduces horrible shadows across your guest’s faces. 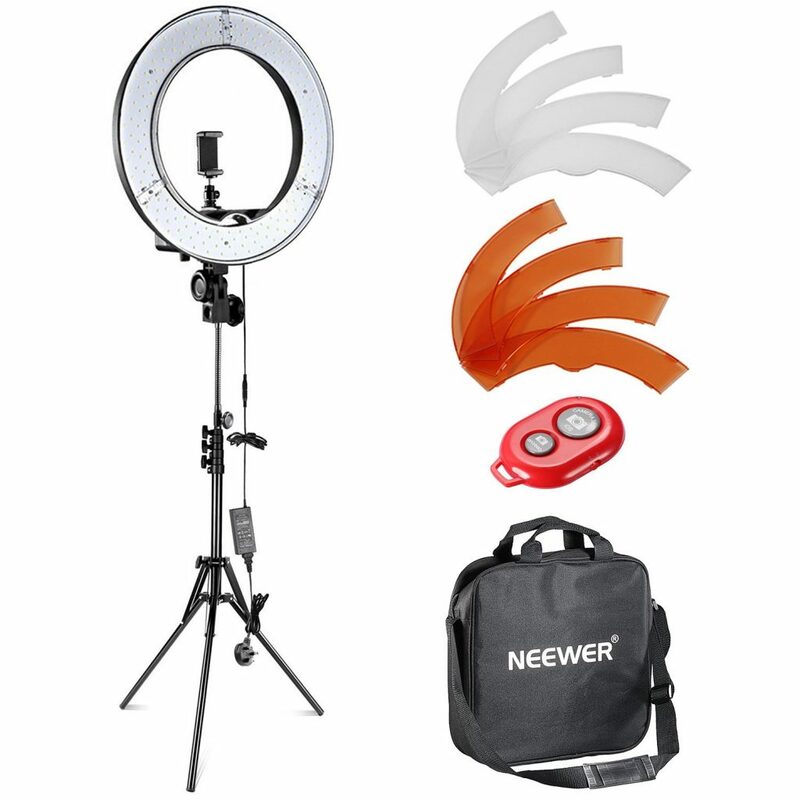 Check out the Neweer light range here! While you can just leave your guests up to their own devices, it might be an idea to raid a party shop or Amazon and eBay for props to pose and mess about with! To hashtag or Print them!? As said before you can choose to use a hashtag and digital options for getting your photos or you can connect a printer to your camera for your guests to stick photographs into a scrapbook from your DIY photobooth. At our wedding my wife an I had a simple portable printer linked up to an iPod touch where our guests took photos and stuck them into a scrapbook alongside some rather funny writings. Printers, in general, are about £100, with paper ranging from £25-£50 depending on how many sheets you order. Look out for a Canon Selphy or a Polaroid printer. They seem to be regularly available and relative cheap compared to professional ones which start at £800! So should you make your own DIY photo booth? 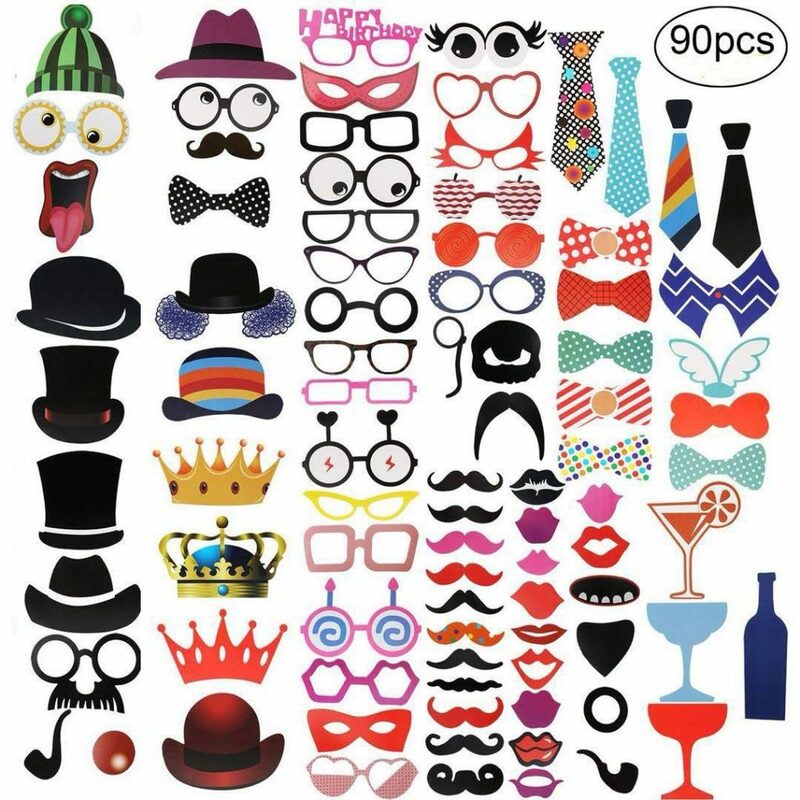 While there are many options, I hope this has helped you think about your DIY Photo Booth more but in general be prepared to invest quite some time into your Photo Booth, and in general you can expect to spend between £100-£500 on your DIY Photo Booth. The alternative is to hire a company like Northern Love Letters (a Cumbria and Lake District based company) who not only have a Photo Booth but a Selfie Mirror too! 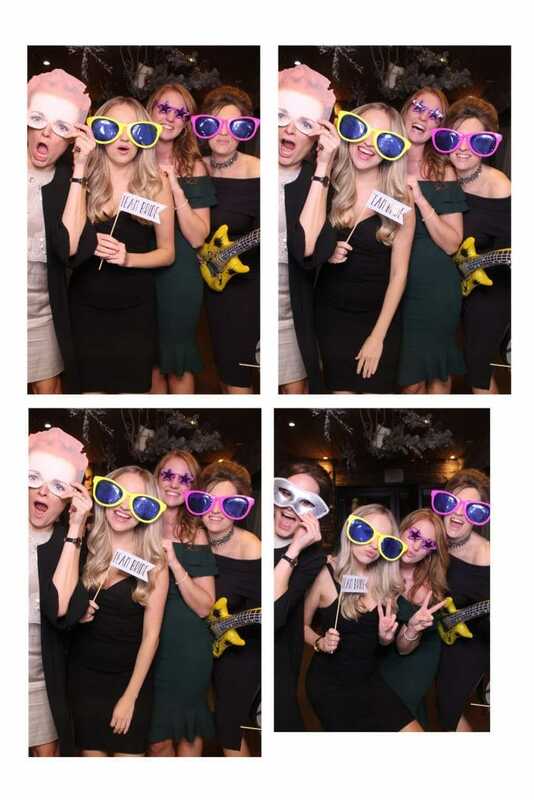 While Photo Booth companies are typically between £300-£500, it is sure a lot easier, and they also come with staff to deal with your drunk guests who can’t work out how to press a button! They even clean up after themselves, and that saves you a job also! It’s certainly worth a thought or two!